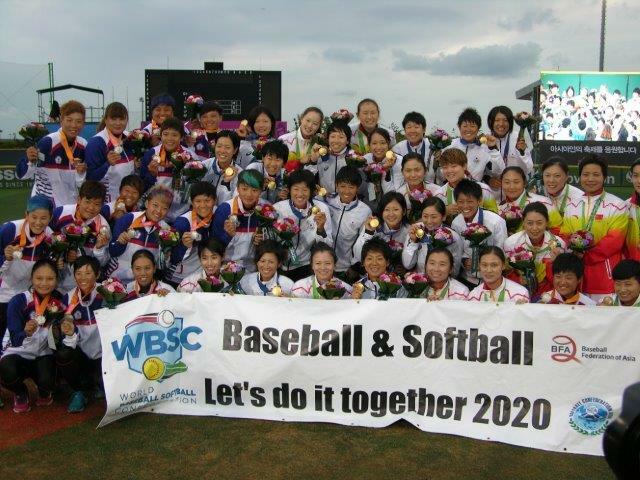 As support for baseball and softball to be included in the Tokyo 2020 Olympic Games continues to grow across Japan, the political group comprising sixty-seven Diet Members to help the World Baseball Softball Confederation (WBSC) 2020 Olympic campaign assembled for the second time in a month on Tuesday, November 18 in the Japanese Diet. Kazuhiro Tawa, Senior Advisor of Baseball Federation of Japan, and Taeko Utsugi, Vice President of Japan Softball Federation as well as WBSC executive member, made presentations to the supportive diet members, exchanged ideas and have been encouraged by them to step up the reinstatement campaign. The Diet Federation members recognized the ongoing work by the baseball, softball family, including the screening of the publicity video on the centerfield screen during the games of MLB and Samurai Japan at Tokyo Dome and University/High School Baseball Championship at Meiji Jingu Stadium which were in progress. In the evening of the same day Tuesday (JST), the 40-proposals on “Olympic Agenda 2020” was released in Lausanne. On Wednesday, November 19 (JST), IOC Vice-President John Coastes who was visiting Tokyo with his Coordinating Committee members and Chairman of Organizing Committee Yoshiro Mori spoke to the media how the IOC President Thomas Bachs reform agenda could affect planning for Tokyo 2020. The proposals would allow host cities to propose the inclusion of one or more events for their games — a move which would clear the way for baseball and softball to be included in the 2020 Games. "In the case of Japan, including baseball and softball would be a great idea," Mori said at the news conference on Wednesday. "The two sports are very popular in Japan and having them in the program would be a big plus." The reforms, "Olympic Agenda 2020," will be put to a vote by the full IOC at a special session in Monaco on December 8-9.